Flying is widely known to be the most reliable and safest mode of transportation in the world, safer than buses (2nd safest), subways (3rd), passenger trains (4th), WAY safer than cars, and we really don’t need to mention the motorcycle. Those are really, really dangerous. So what is it that makes flying so much exponentially safer? Is it just inherently safer because of the spacing in between aircraft during flight? Or is it the extremely high level of training required of all professional pilots? There are really dozens of different components which work into flying which make it so safe, and the focus of this article is on aircraft maintenance required of commercial air carriers. While general aviation aircraft maintenance practices are very rigorous and their safety record is excellent, it still falls well short of airline safety records with approximately 8-10 times the number of fatalities annually just in terms of raw numbers. The percentage may be much higher when the amount of airline passengers is taken into consideration against amount of general aviators in any given year. Is this to slander general aviation and call it unsafe? No, of course not. General aviation has roughly the same number of fatalities annually as boating or railroads which are both far lower than the loss of life on highways across the world. There are a number of reasons why general aviation still falls far short of commercial air carriers in terms of safety statistics. First and foremost is experience. Commercial air carriers are on average much more experienced than general aviators; their thresholds of minimum hour requirements are often more hours than many general aviators will amass in a lifetime. Second, and honestly more important than just mass hours, is frequency. Pilot skills are perishable and deteriorate rapidly without being exercised frequently. Commercial pilots fly frequently, generally several times per week which adds a tremendous element of safety. Mechanical problems are another area of major difference between general aviation and air carrier aircraft. Aircraft used in commercial air carrier operations are built with much more redundancy in their designs, almost exclusively operating multiple engines with multiple redundant systems (hydraulic, electrical, etc.) being implemented. Turbine engines are the standard in air carrier aircraft and are much more reliable statistically than reciprocating engines found in practically all general aviation aircraft. This is to take nothing away from the reciprocating engines used in light aircraft; they are truly amazing machines which hold up incredibly well to the environment they operate in. But the overhaul cycle is over twice as long for turbine engines as to reciprocating engines and their reliability in all conditions is unprecedented. So why don’t general aviation aircraft implement turbine engines? Cost, pure and simple. Twice the fuel consumption, at least twice the purchase price, and probably 4-5 times the price to conduct aircraft inspections and overhauls. In the states, all aircraft maintenance is broadly governed under Part 43 which describes who may do what and what exactly constitutes maintenance, preventative maintenance, rebuilding, and alteration. However, commercial air carriers are quickly branched off to Part 121 or 135 depending on the operation. Private aircraft owners are allowed to perform a significant amount of the work on their own personal aircraft as long as it does not fall under Part 121 or 135 operations. The holder of any certificate besides sport pilot is allowed to perform preventative maintenance on their own aircraft. Many times, these pilots are allowed to perform much more than that by mechanics who know and trust them and are willing to sign off their work. This doesn’t make said practice necessarily dangerous per se but it is in a different league than the requirements and expectations placed on commercial air carriers. As a caveat, while flight schools do fall under the umbrella of general aviation, they have different maintenance and inspection requirements as defined in Part 141 for professional flight schools. Air carrier operations which fall under Part 121 of the CFR are regional and major airlines, so Delta, Skywest, Southwest, JetBlue, United, etc. For the U.S., the FAA advisory circular A/C 120-16F covers all things maintenance for air carriers. But on an aside, why have an A/C if Part 121 of the federal code covers maintenance? The law is drafted and approved to become federal code by congress, but the FAA is tasked to take the law and put it into actionable terms. The advisory circular then describes how air carriers are to conduct their program. This is important because, as the FAA openly says, there is a “significant difference between an air carrier maintenance program and an inspection program used in non-air carrier maintenance operations”. 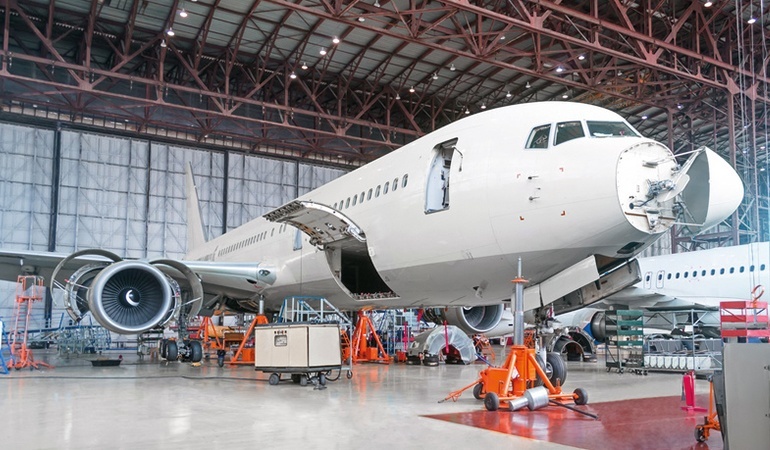 The legal basis for air carrier maintenance programs, as opposed to inspection programs of the aforementioned non-air carrier maintenance programs, is found in Title 49 of U.S. Code. This is hardly light reading and will not be discussed at length here, but it is important to understand where the law emanates from. One of the most significant takeaways for this discussion is 49 U.S.C. § 44701, which regulates aircraft operations at different levels of safety where operations under 14 CFR parts 119, 121, and 135 reflect the highest possible degrees of safety in the public interest, whereas 14 CFR part 43, 65, 91, and 145 are not geared as much towards the “greater good” concept. It seems obvious, but the main objectives of an air carrier maintenance program are to ensure that three objectives are consistently met. Each and every aircraft released from maintenance are airworthy and properly maintained for the rigors of air transportation. Maintenance technicians employed by the air carrier, whether company employee or contractors, perform all maintenance and alterations in accordance with maintenance manuals approved in the maintenance program. The air carrier must ensure adequate facilities and equipment are available to perform maintenance and alterations to company aircraft. Breaking this down a little bit we can see that the entire purpose of the FAA program is to provide end users the safest, most reliable transportation in the world, which it is by light years. Part 121 and 135 carriers are required to use a maintenance program for its aircraft where part 91 operators are only required to implement an inspection program. Part 121 and 135 carriers are responsible for the development and use of a maintenance program and manual which is unique to each air carrier, determining the methods of performing maintenance, and mandating a required inspection list. Part 91 organizations are responsible only to select an existing inspection program and to schedule their fleet for inspections, and to ensure that items found during inspection are repaired prior to the next inspection. Part 121 and 135 air carriers must build their program from the ground up, unique to their operation, aircraft types, routes, hubs, etc. They are tasked to determine what is required and how to do it, when it needs to be done, and how to approve its aircraft (quality assurance). Ultimately, the air carrier is responsible for the proper completion of maintenance. Part 91 operations are only responsible to get the aircraft to certified personnel to accomplish the inspections and maintenance. Unlike the smaller part 91 operations who may simply hire a mechanic or shop to conduct their maintenance, part 121 and 135 operations have a highly regimented list of mandatory personnel for their operations. Why is this so important? Take into consideration how many different hubs a major, intercontinental airline has in place over the globe. The only way to ensure that every aircraft is treated with the exact same precision, attention to detail, and care is to structure the maintenance organization in the same fashion as the flight crews: standardization and evaluation. Just as the flight operations component of an airline is required to have chief pilots, check pilots, etc., maintenance organizations must have chief inspectors, management personnel, and a director of maintenance. So far we discussed the regulatory structure in the United States which provides the framework for how air carriers are maintained, as well as defined some of the key characteristics of the differences in regulatory code and how that affects each type of air carrier. Now we are going to take a look at the actual nuts and bolts of the air carrier maintenance program and inspection requirements. How often? How involved are the inspections? Commercial air carriers which we know commonly as “airlines” are subject to the most stringent maintenance in flying, save perhaps military aircraft. Their programs offer a number of parallels because of the parallels in their operations: both airlines and military services fly large fleets of aircraft over a number of bases or hubs. As the name suggests, scheduled maintenance is any and all maintenance which is performed in accordance with maintenance time limitations. This applies to more systems and maintenance tasks than can be listed here but includes complying with airworthiness directives (ADs), Certification Maintenance Requirements, and life-limited parts retirement. These are the routine or sometimes subroutine and extensive maintenance tasks which come from events occurring on an unforeseen circumstance, i.e., blown out tire, compressor stall. Also it can come in the form of inspection in response to hard landings, overweight landings, or lightning strikes. This is where the inspections in between flights, or through-flights, are imperative to catch breakages as they occur. These are particularly important in finding bird strikes by locating snardge on the first stage fan blades and the fuselage body, wings, and control surfaces. There are certain parts of the aircraft which are subject to individual inspection requirements due to their importance and impact on aircraft airworthiness. The heart and soul of an aircraft is their engine systems. Without engines, you have a glider or a paperweight. Beyond obvious reasons of importance of the system, the significance of an engine maintenance program is to ensure that all of the different types of engines across the fleets are given the same level of care regardless of which airframe it is located on. Also, it is to ensure that on-wing and off-wing engine maintenance is consistent across the entire fleet. This is highly significant since an engine is not guaranteed to go back on the aircraft which it came off of. Since most air carrier aircraft have an auxiliary power unit installed, these can be added into the airline’s engine maintenance program. The interesting thing about the FAA’s Air Carrier Maintenance program is how much latitude each individual air carrier is given in the design of their maintenance manuals. It is the discretion of the certificate holder (the air carrier) to write the degree of inspections, wear tolerances, and mandatory work to be complied with any time an engine is in the shop. While they may appear simple and they are simple in concept, propellers are highly advanced machines in themselves. They are very precise and must be tuned exactly in concert with at least one other engine and propeller combination. An out of balance propeller can spell disaster with discomfort at the least and significant structural damage at the worst. Like the engine maintenance program, the propeller maintenance program needs to cover both on- and off-wing maintenance for each model operated. This is the Holy Grail, the bible of each air carrier’s maintenance program. 14 CFR part 121 and part 135 require a maintenance manual as part of every air carrier manual system. It is imperative that each manual be easy to revise in order to be kept current easily. The manual details the entire scope of the maintenance organization and operation so it must be readily available to all personnel who require access to it by the nature of their position, i.e., all maintenance technicians. It is their responsibility to keep their copy up to date with all current changes and revisions. Why not just use manufacturer manuals? Manufacturer specifications and techniques are excellent resources and provide much of the engineering data to complete the maintenance tasks correctly. But that is a far cry from the scope of the air carrier maintenance program, which exists to ensure that all maintenance tasks and inspections are carried out correctly across the entire fleet of aircraft. The manual exists to lay the framework for the maintenance and safety practices of the organization, to ensure maintenance is standardized for consistent, correct accomplishment at all depots by all technicians. This is a tool to explain what the program is and how all of the different pieces come together into one cohesive unit. Manufacturer specifications are not made for this purpose; they are there to show what specifications make it work. The manual is to be put together in a standardized format which eases the approval process. It also provides a significant boost for technicians and staff as they may move between air carriers for employments opportunities. Understanding that all maintenance manuals will be put together in similar order will aid transferring employees in grasping the operation faster and more cohesively. If we can be honest, the administrative process is perhaps the most difficult and tedious for so many technicians who are drawn to the trade skills with a passion for turning wrenches. However, it is a part of the process of which the importance cannot be overstated. In this section of the manual are detailed the functions of each maintenance program element, maintenance time limitations, recordkeeping (extremely important), compliance with Airworthiness Directives, maintenance program management and personnel training. It needs to have descriptions of scheduled maintenance items and associated tasks, functional check flights and the procedural requirements involved in conducting them. Airlines generally do not fly aircraft without passengers on board if they can help it because it is very costly, so scheduling a check flight has to pay dividends and be justified, i.e., no check flights “on a hunch” that there might be a problem. Unscheduled maintenance events of great significance and their respective responses are detailed here, as well. For flight events these will include severe turbulence, extreme maneuvers, over-speed events and heavy stall buffeting. Detailed responses for ground events will include hard landings, overweight landings, and drift landings (crosswind landings) which have resulted in excessive side loads. This is where the manufacturer data may meld with company policy as the manufacturer usually provides detailed inspection standards to be followed after a high-load events has occurred. The nuts and bolts of the manual, this section will detail how to accomplish specific tasks on the aircraft. Remember, the manufacturer may provide raw data on torque specifications, weights, dimensions, etc., but it up to the operator to apply procedures for them. This manual is not going to be written by the lay person or by administrative staffers; it must be written by the most experienced people in the organization who have been in the maintenance field for many years and have a wide breadth of knowledge and extremely high competence. Airworthiness Directives (ADs) are legally enforceable regulations which are created and issued by the FAA to correct conditions of a specific aircraft, component, or appliance. What does this mean in lay terms? Say there are a number of instances when Airbus A319s develop cracks on their main landing gear axle, for example. It has been a condition which is identified in more than one occurrence. The FAA produces the AD, which has the necessary information to correct the problem. Failure to comply with ADs will straight shut down an operation, and failure to comply with ADs which ultimately results in an incident or accident...well, it won’t be a good time for that organization. The manual must contain information necessary to ensure all applicable ADs are complied with in the posted timeframe and that all records of the fix are kept. Advisory Circular 39-9, Airworthiness Directives Management Process, describes the six elements in the process which the manual must detail: planning, support, provisions, implementation, recording, and auditing. Just briefly, let’s touch on work cards. There is no regulatory requirement to use or implement work cards but there are very few maintenance operations who do not use them religiously. They are a universal best practice because they allow technicians a simple method of carrying just the necessary information for a given task in the most convenient package available. They create a much more clean and streamlined process for inspections to be conducted without having to drag out multiple volumes of large and ungainly technical manuals. By referencing the source document and summarizing the most important parts, work cards allow technicians to work much faster with no reduction in safety or thoroughness. There is probably no way to summarize the entire maintenance process into one blog post; it is far too broad and sweeping, not to mention critical, to put into soundbites and taglines. Airliners are immense technical marvels which rely on dozens of systems to work synchronously under the harshest conditions, day in and day out for many years. The most amazing thing is just how supremely well they end up doing it. For even more news and knowhow from the world of ground handling subscribe to our blog now!